Throughout the last few months we've been keeping you informed as much as possible regarding the work in progress enhancement of Barbarian that is being worked on by Ten Shu, Colin Vella and Simone Bernacchia. Well after a number of write ups in regards to this fantastic one to two player game with a barbarian facing off with each other waiting to chop a head off or two. 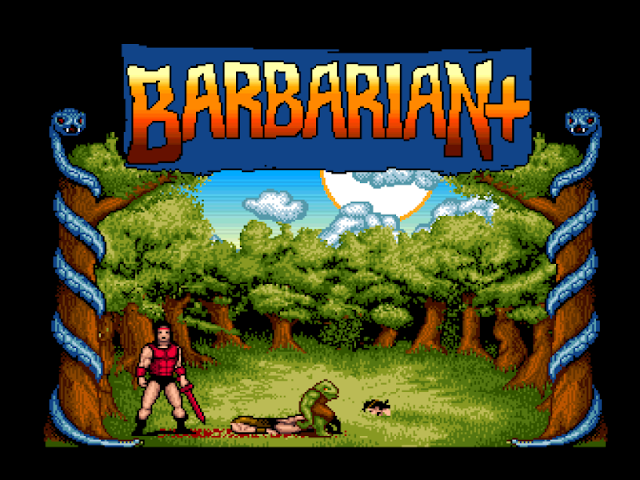 Colin has since announced not only new screenshots but a new decapitation video from their upcoming enhancement 'Barbarian+'. 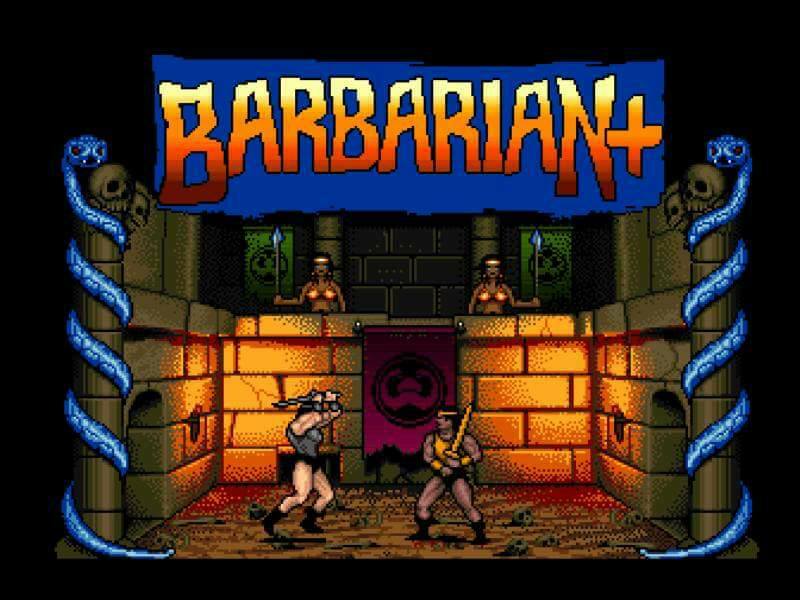 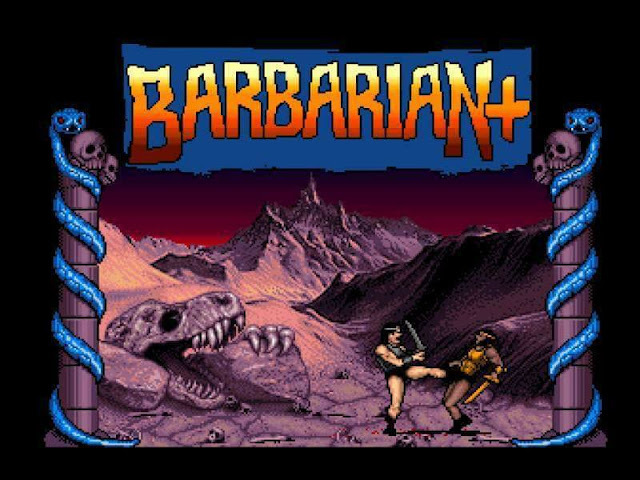 Barbarian(Death Sword), was first released in 1989 for the C64 and later ported to other systems such as the Acorn, Amiga, Amstrad, Atari, Apple II, BBC Micro, MS-DOS and even the ZX Spectrum. 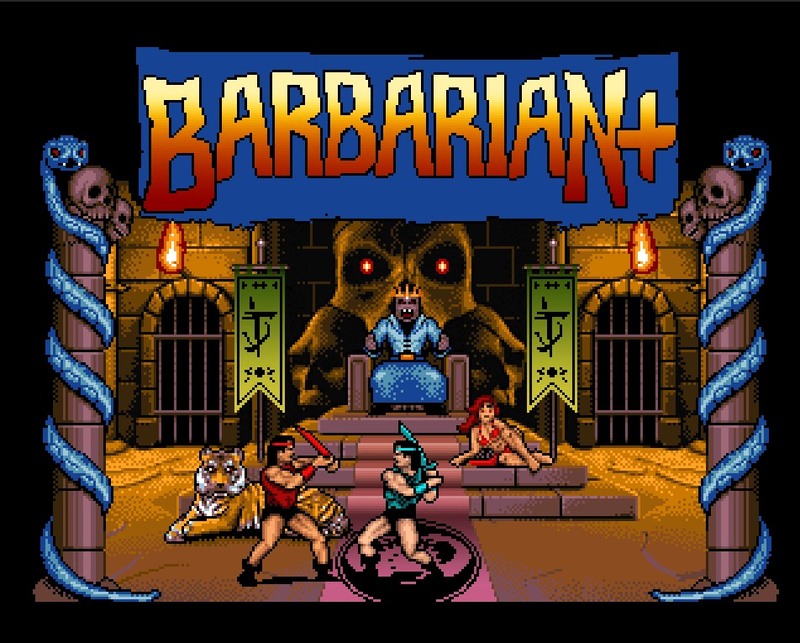 This enhancement of the Amiga version however, looks to have better graphics, use more colours, introduces some additional frames for smoother animation, decent frame rates on an A1200, title and music scores for every arena and extra arenas, blood spatters etc.